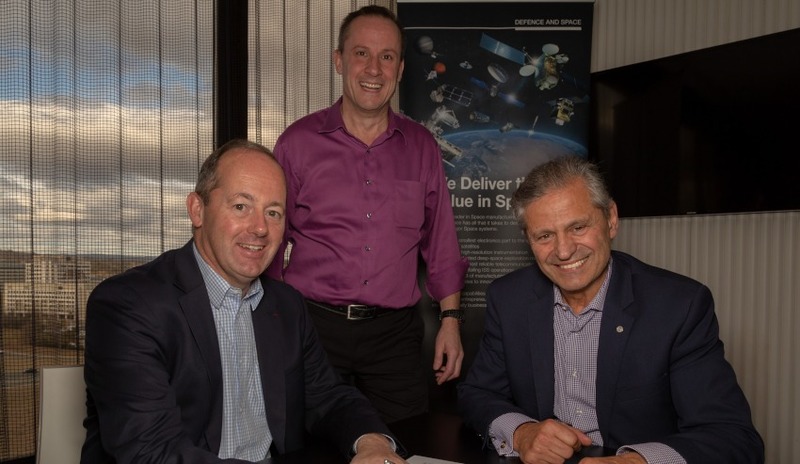 Airbus has entered into two new local partnerships in the Australian space industry, one of which will see it become a founding a member of the proposed SmartSat Cooperative Research Centre (CRC), led by the University of South Australia and Nova Systems. Under its commitment to the SmartSat CRC, Airbus’ planned seven-year commitment of funding will further the CRC’s research agenda, particularly its ‘Intelligent Satellite Systems’, a theme that aligns with Airbus’ strategy for building resilient and autonomous space-based systems. Nicolas Chamussy, head of space systems at Airbus, also confirmed that the company is working with the University of New South Wales and its spin-off space company, Skykraft, to develop hyperspectral remote sensing technology. In speaking of the partnerships, Chamussy outlined the company’s long-term view for its investment in Australia's space industry. "We want to 'walk the talk' and we are determined to do so. Airbus is proud to partner with local industry on dedicated space projects," Chamussy said. "It is our intention to work with academia, SMEs and start-ups to develop Australia’s space sovereign capability, nurturing and developing areas of strategic priority and leapfrog technologies identified by the ERG panel. "Airbus could help Australia in concentrating on new disruptive areas while achieving strategic agreements with international industries and space agencies." Airbus has previously welcomed the creation of the Australian Space Agency, allowing the country to grow its industry and take advantage of current and upcoming disruptions to the space sector. "Airbus has identified strategic space opportunities in Australia including leveraging Australia’s R&D expertise and potential partnerships with industry on space-based applications," Chamussy said. "We’ve highlighted these opportunities with Dr Megan Clark AC, incoming head of the Australian Space Agency, and indicated that this could provide a framework for ongoing strategic engagement between Australia and Airbus." News of the latest partnerships comes just days after Airbus announced it had selected Wyndham airfield in Western Australia as the first base site for its solar-powered Zephyr unmanned aircraft. Airbus' selection of the WA site makes Wyndham the world’s first operational site for the launch and recovery of the class of unmanned aircraft known as high altitude pseudo-satellites. The aircraft is extremely lightweight and makes virtually zero noise as it leaves and returns to its base.